It’s a chilly, windy afternoon as we arrive at Cape Liberty cruise port in New Jersey. Lower Manhattan is just across the Hudson River with Liberty Island and the Statue of Liberty about half-way in between. The new One World Trade Center is clearly visible where the former twin towers stood over Manhattan. As we approach the pier, we get the first glimpse of the new Celebrity Silhouette. She deputed in Europe in July, but this is her first visit to US waters. We’re honored to be in included with important media and travel industry insiders onboard the Silhouette in her winter home of Bayonne, New Jersey. Silhouette is the 4th in the Solstice class. 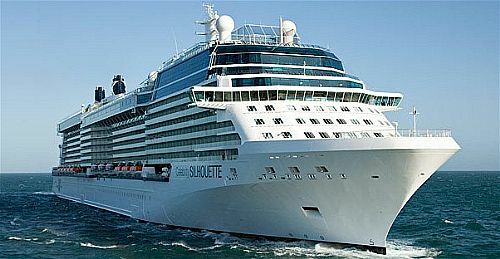 The Celebrity Solstice entered the fleet in 2008, the Celebrity Equinox in 2009, and the Celebrity Eclipse in 2010. 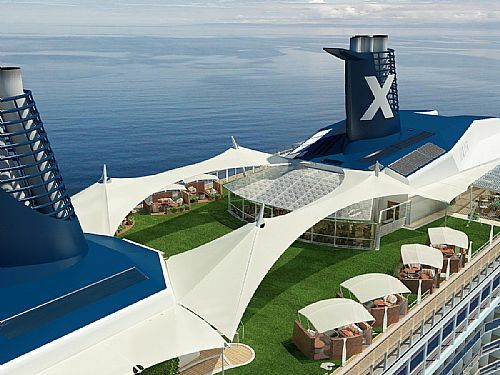 The 5th and final “sister”, Celebrity Reflection, will debut next November. 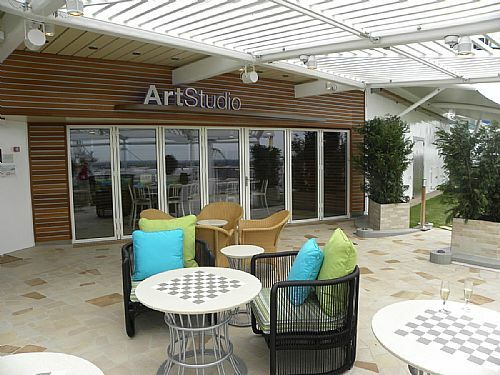 The Silhouette features the familiar Solstice class highlights including the half-acre manicured lawn known as the Lawn Club, the unique restaurant experience Qzine, first introduced on Eclipse, the expansive AquaSpa and Aqua Class staterooms, and the popular and delicious Bistro on Five. As on other sister ships, the Silhouette presents abundant restaurant options including the main dining room, the sophisticated Italian steakhouse Tuscan Grill, Murano with continental cuisine and Blu exclusively for Aqua Class guests. 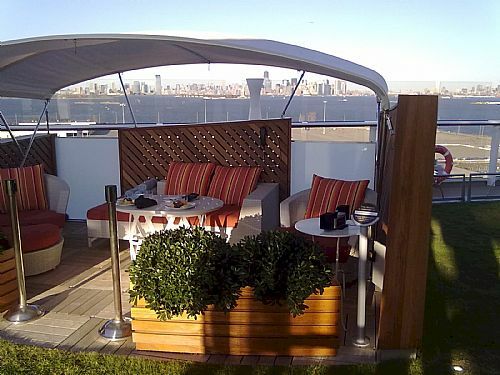 Unique Solstice entertainment venues are also found on the Silhouette including the widely popular Martini Bar & Crush, the learning & tasting experience of Cellar Masters, the pulsating disco Quasar, and the relaxing, quiet Sunset Bar. But, we’re not onboard the Silhouette just to see the old favorites, we’re also here to find out what’s changed – how Celebrity has enhanced the Solstice Class experience based on guest feedback and real-world experiences on 3 previous sisters. Perhaps the most visible changes are located on the top deck (#15) around the somewhat under-utilized Lawn Club area. 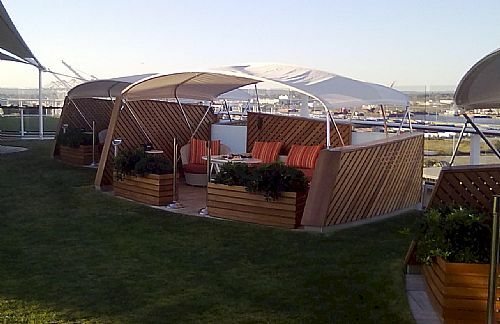 Now located along both sides of the Lawn Club are eight exclusive, cabana-style “Alcoves on the Lawn Club” which accommodate up to four guests and are available for rental. 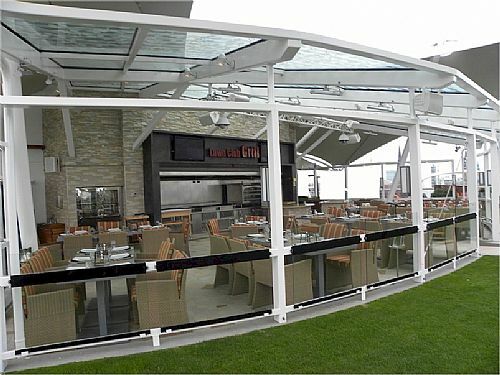 In the area around the funnel that was formerly the Hot Glass Show, Celebrity has added a unique dining venue called Lawn Club Grill. 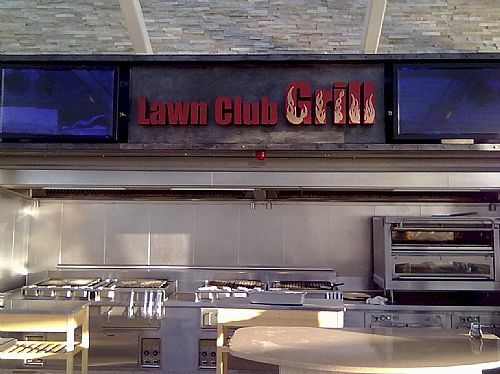 This interactive outdoor grill restaurant is a hands-on dining and learning experience where you can grill-it-yourself, or relax and let an expert grill chef create your lunch or dinner. 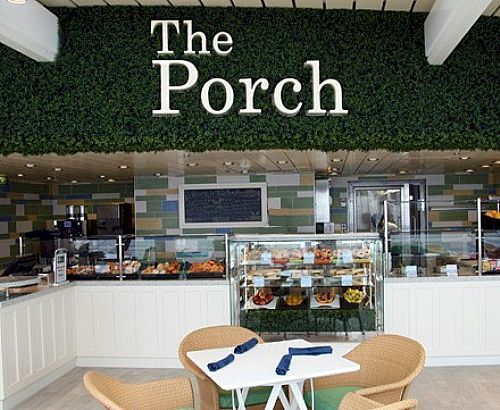 Also located near the Lawn Club is “The Porch”, a new casual breakfast/lunch dining venue with a “Hampton’s feel” and terrific ocean views. Opposite is the new Art Studio offering guests a wide variety of lectures, demonstrations and interactive classes led by master artists, through Celebrity’s new partnership with ArtCenter/South Florida. The other popular areas of this top deck remain basically the same, the two lawn bowling areas which flank the quiet Sunset Bar. Up front, young cruisers rule with the Video Arcade, X Club, Fun Factory and Shipmates. Another one of the very unique areas newly found on Silhouette will be The Hideaway in the place of former Team Earth. The new Hideaway on Deck #8 provides a “retreat-like” environment for about 30 guests to read, listen to music (with ear buds), grab a cup of coffee, or just kick-back. 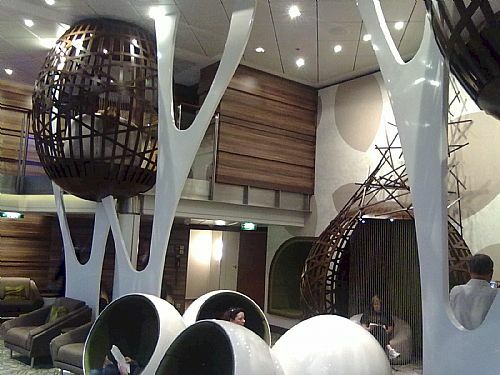 The centerpiece of The Hideaway will be two tree houses to climb into and get away from it all. We’re scheduled in Blu for dinner tonight – more from the beautiful Silhouette tomorrow. Cape Liberty, Celebrity Cruises, Celebrity Silhouette, Solstice Class. Bookmark.